Dale Coyne Racing has announced that rookie Santino Ferrucci will partner veteran Sebastien Bourdais for the 2019 IndyCar Series. Ferrucci, who made his IndyCar debut earlier this year with DCR, will graduate to a full-time seat and will experience his first oval race at the 2019 Indianapolis 500. Ferrucci’s debut came at the 2018 Duel in Detroit back in June, where he took to the #19 Dale Coyne Racing Honda that had previously been occupied by both Zachary Claman De Melo and Pietro Fittipaldi. Ferrucci faired reasonably well despite being thrown right in at the deep end. He qualified eighteenth for the first race of the weekend and was on course to potentially fight for a top ten finish until he was rear-ended by Charlie Kimball and forced to retire. Santino qualified thirteenth for the second race on Sunday, but a spin whilst exiting pit-road forced him down into a finish of twentieth place; one lap down on the leaders. Santino impressed Dale Coyne Racing enough at Detroit to earn himself a return to the cockpit for the final two races of the season at Portland and Sonoma. In fact, the team elected to build an entirely new car for Ferrucci. Santino drove the new #39 Honda to a disappointing twentieth place in Portland, but he bounced back in Sonoma to take an impressive eleventh place finish despite battling car issues for much of the race. Following the conclusion of the 2018 season, rumours soon began to circulate that Ferrucci was on course to sign with Dale Coyne full-time for 2019. Yesterday’s announcement from the team confirmed that that was the case. Ferrucci stated that he was “extremely grateful” to be given the opportunity and that he was looking forward to the challenge ahead of him. “I’ve said it before, I’m extremely grateful to Dale [Coyne] and everyone at Dale Coyne Racing for believing in me and for giving me this opportunity to race a full season in the IndyCar Series,” said Ferrucci yesterday. The news of Ferrucci’s full-time contract for 2019 means that Santino will compete in the first oval race of his career. What’s more, that debut will come at arguably the biggest oval race of them all, the Indianapolis 500. In anticipation of his oval debut, Ferrucci conducted a rookie orientation test at Texas Motor Speedway last month, where he received tuition from his veteran team-mate Sebastien Bourdais. 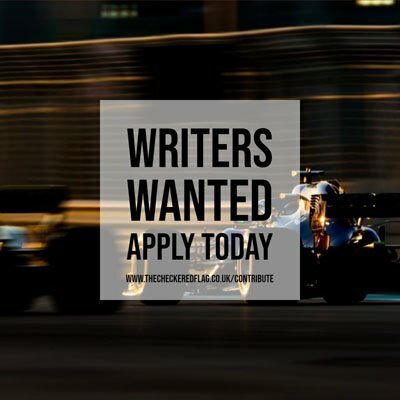 Santino’s signing has been met with some backlash from fans due to the reputation he created for himself during the FIA Formula 2 championship earlier this year. A now infamous weekend at Silverstone saw Ferrucci deemed to have made deliberate contact with his Trident Racing team-mate Arjun Maini after a race. A string of other offences during the meeting led to Santino earning himself a four-race ban, followed by Trident electing to terminate the American’s contract shortly thereafter. Despite his incidents in Formula 2, Santino’s boss Dale Coyne stated that he had shown “a lot of maturity” during his outings with DCR in IndyCar and that he was “very excited” to have signed him full-time for 2019. “We were very happy with Santino’s performances this season in the races he did with us,” said Coyne. “He showed a lot of maturity and the desire to learn and to keep improving. Had it not been for some unfortunate luck at Portland and again at Sonoma, he could have picked up even better results than what he did. Santino will join what looks to be an exciting battle for the rookie of the year honours in 2019, with his rivals being the likes of Chip Ganassi Racing‘s Felix Rosenqvist, Schmidt Peterson Motorsports‘ Marcus Ericsson and the Harding Steinbrenner Racing duo of Patricio O’Ward and Colton Herta. The 2019 IndyCar Series will kick-off with the season-opening Grand Prix of St. Petersburg on Sunday, March 10.